Yesterday, we were sitting around. 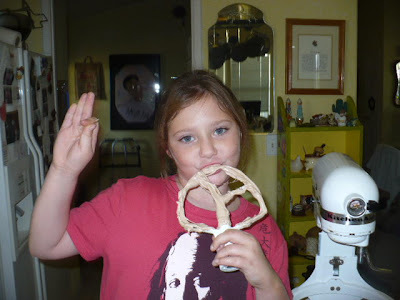 Dani wanted to cook. Halloween is close at hand and she was talking about home made candies. She remembered making regular marshmallows a little while back and she wondered out loud if there was such a thing as a chocolate marshmallow. I told her that there certainly was. 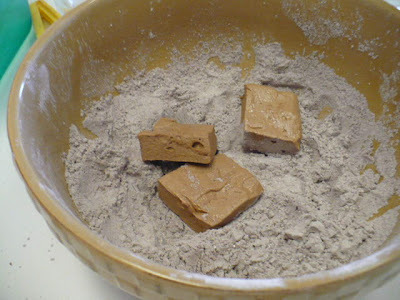 Boil 1/4 cup +2 tablespoons water in the microwave and pour over the 1/3 cup sifted Dutch process cocoa powder. (you can find Dutch Process cocoa at most finer coffee/tea shops and cake decorating supplies) Whisk until smooth, set aside. Bloom the gelatin with 1/2 cold water for 5 minutes. Then microwave on high for 30 seconds, stir it well, 30 seconds again, stir it well. Set aside to cool. 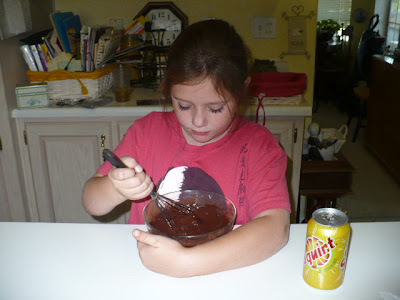 Mix the sugar, 1/2 cup of water, and the corn syrup in a non-reactive pan with a tight fitting lid. Heat over low-medium flame until the sugar is completely dissolved. Bring heat up to high, and when it is at a full boil, cover tightly and allow to boil for 3 minutes to thorough dissolve all the sugar crystals. 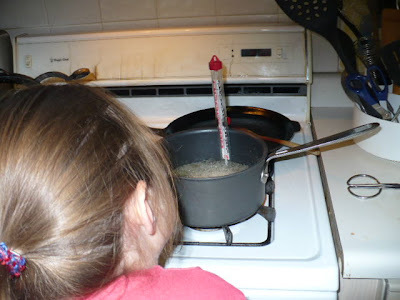 Uncover, attach a candy thermometer and allow to boil without stirring to soft-ball stage (240°), remove from heat. When the cocoa and the gelatine mixes are both room temperature but them into the bowl of a stand mixer and set it on it's lowest stir setting. 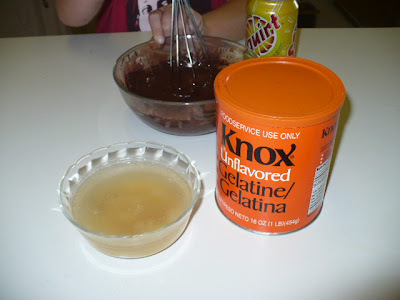 Once the syrup has cooled to a point where you can touch it without tissue damage, but it is still fairly hot, slowly pour it into the cocoa/gelatin mixture. Increase the speed incrementally to avoid splashouts. Once it's gotten to the highest speed, allow to whip for 15 minutes. Turn into a well greased baking pan and cover closely. Allow to set overnight. 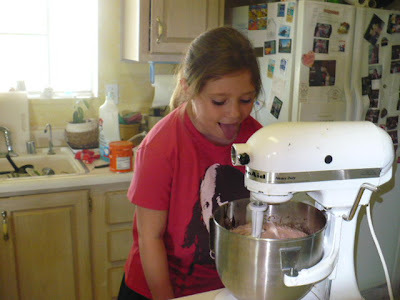 While cooking candies and things that involve sugar syrups. 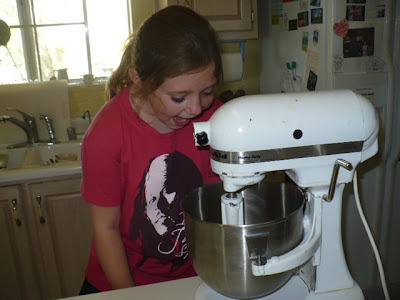 The sugars especially will harden and become impossible. 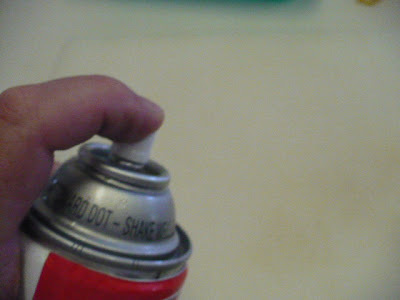 Also wash the dishes right away. 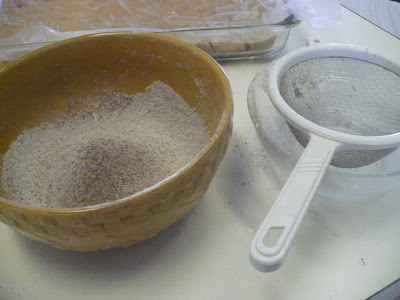 Sift together 3 tablespoons Dutch Process Cocoa, 1/2 cup powdered sugar, 1 tablespoon cornstarch until thoroughly mixed. 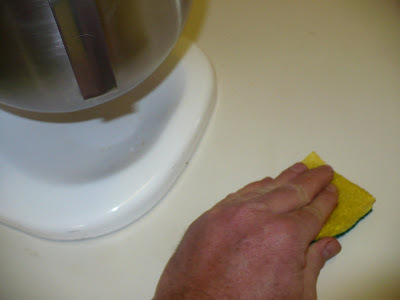 Hose down your cutting board with cooking spray. 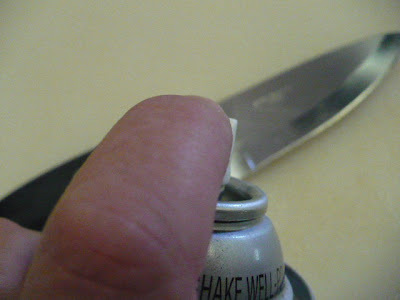 Spray a sharp knife too. 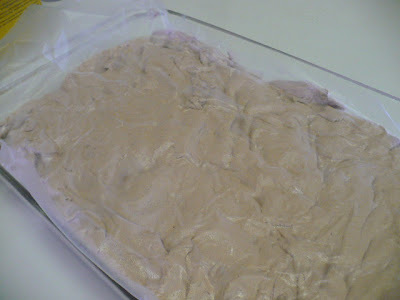 Cut into small, bite-sized squares and dredge in the coating mix well. Store in an air tight container. These will last perfectly for three to four days. After that, cut the left-overs into small cubes and prepare yourself for the best hot chocolate floaties you've ever had. These make bomb S'mores material too.